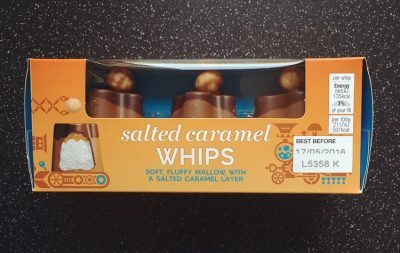 Friday I teased that another Whip addition would grace the blog following my review of Marks & Spencer Salted Caramel Whips, well today is another new addition to the Whip family with the Marks & Spencer Chocolate Fudge Whips. I am quite surprised that Marks & Spencer have seemingly released new twists on the Walnut Whip and not really shouted from the rooftops about this, and nor am I sure if these are Limited Edition or permanent fixtures. That being said let’s get tasting. 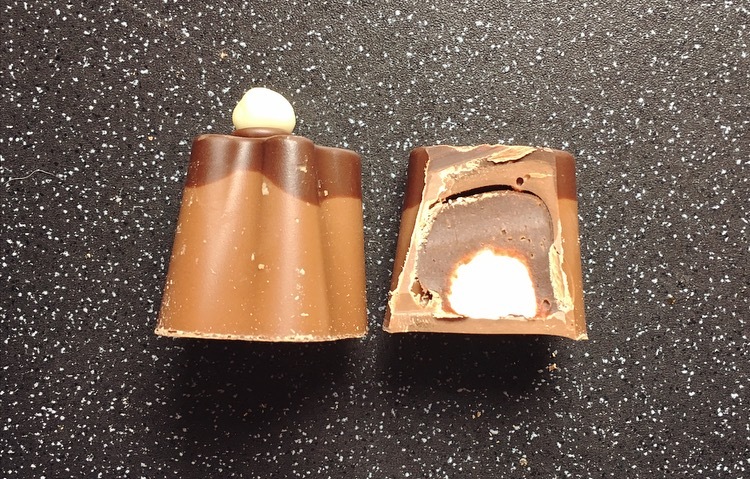 Again we have a wibbly wobble shaped whip and as you can see the layers were far more distinct and the marshmallow has taken a back step, this is all about the chocolate people. Topped with an odd fudge piece it really was the only part I did not like. The chocolate is mighty chocolatey! The milk chocolate melts into a creamy puddle of yumminess, the chocolate fudge is very rich, thick, and almost more of a chocolate brownie batter than fudge. It does take some serious chewing or waiting for it to melt in the mouth to chow down this thick chocolatey treat, but my oh my it is delicious. The minuscule fluffy marshmallow dollop is overwhelmed by all that chocolate, but frankly I don’t mind about that. 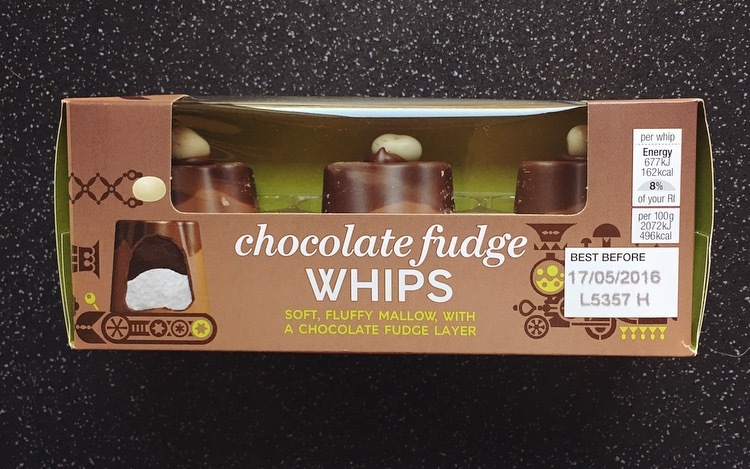 Overall I am loving this Marks & Spencer Chocolate Fudge Whips and it is a game changer. It is a chocoholics dream, it’s indulgent, it’s mighty chocolatey and it certainly trumps the Marks & Spencer Salted Caramel Whips. In actual fact I far prefer it to the traditional Walnut Whip. Bravo Marks & Spencer, I hope this is one Whip that is to stay! Ahh I really need to try this one, it sounds sublime! These are really fab aren’t they!